For Your Enjoyment — 12 New Hot Heat Race Action from this Friday Night at Delta RC Speedway!!! Looks like we got lucky with the weather situation and the track looks great. We are on for Friday night! Gates and track open @4 racing starts @7pm! Ok here is the deal with the possible rain tomorrow (thursday). 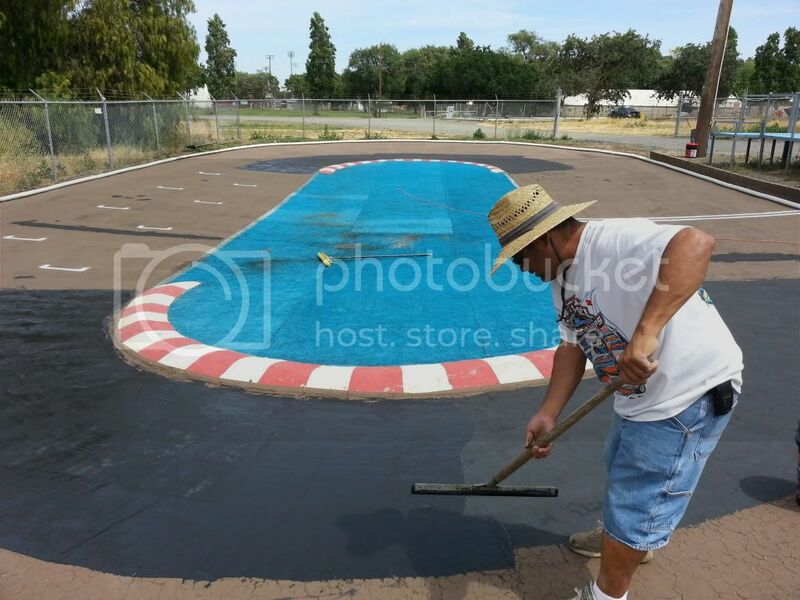 The new sealer that is on the track should NOT wash off. However, as if we get enough raid there are other things that could potentially cause problems for us. 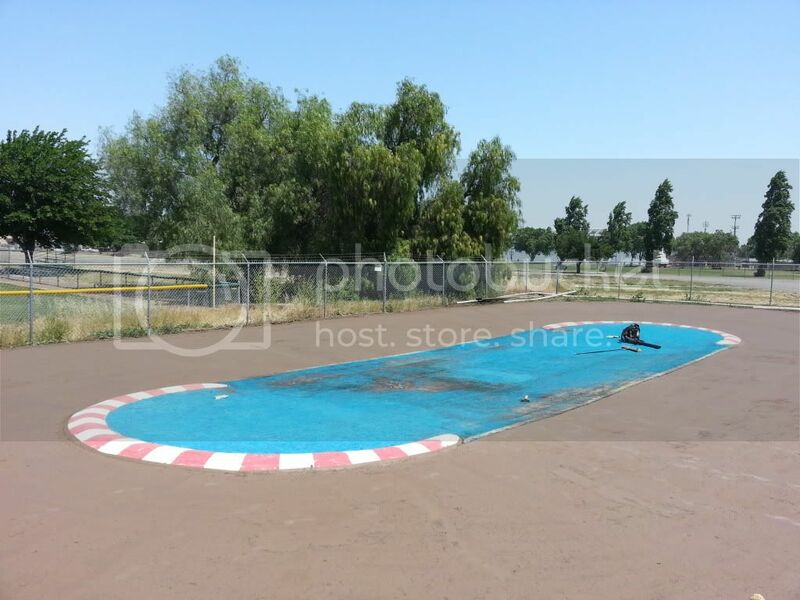 Such as the infield being water logged etc. If it rains a ton we will reschedule to Sunday @noon. Of course I will keep everyone posted! Joe hard at work getting the surface dialed! Here is the results. Its hard to see in the pics but the corners are much nicer! Lots of the bumps are smoothed out as well! Gonna be great for Friday! Yes to the lower chassie but the battery must be in the stock center position, no off set allowed. 10.5 blinky, no timing advance, is the lowest turn motor and yes to the shorter shocks but the springs must be SCT type springs. The class started out 17.5 blinky and was strong for a few months. Because no SCLM were showing up during the winter the 10.5 blinky rule change revived the class. This make it hard for the stock trucks to compete. The 10.5 sure is a lot more fun to drive. Just curious what mods can be done in the sclm class? Can we change to a low center gravity chassis? Or use shorter shocks from a different vehicle? Can we change the esc to a brushless and if so what is the lowest turns we can run for the motor? Remember guys, next oval race is Friday MAY 17th! Here are the results from the 3rd! There are 18 new heat race YouTube videos for your enjoyment!! Please Like or Comment the videos so more traffic will let others know about the fun that they are missing out on. Please post up ASAP over on the Dirtoval.com Roll Call - SpeedWorld - Race #2 thread if you or someone you know is planning to attend the Best of the West Race # 2 at Roseville . We need to know who is going to make it out by Tuesday night so They can make the official schedule for the weekend. We are anticipating between 125 and 160 cars, and the schedule will be VERY different depending on which end of the spectrum we are on. Practice time is based on Roll Call lists, so if you want to get track time, you need to let us know you plan on coming. Heads up! We will be allowing any dirt oval foam tire 35 shore or harder in our 17.5 sportsman class. This should help with tire wear issues that may come up in the future. Out tire order was delayed and is not scheduled to be delivered until this Saturday. Sorry for the trouble. We should have lots of purples/magentas/35 pinks when it shows up! Track surface is coming along nice but slow. ---WE COULD USE SOME HELP THIS AFTERNOON/EVENING WITH THE OVAL TRACK PREP! Anyone interested please call me ahead to make sure 5109328900. Big thanks to Jeff B who helped us out big time yesterday. Next race this friday @ 7pm! I uploaded 15 Heat race videos for your enjoyment! 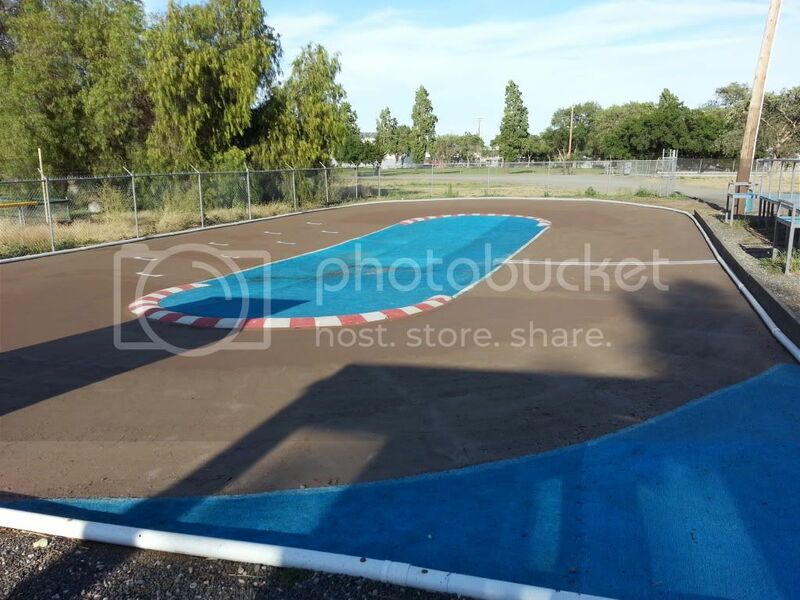 So with the month of May coming up ( Indy 500 time ), is anyone interested with doing a F1 / Indy Car Oval Race at Delta RC Speedway? I built an F104 a few years ago and only ran it at the Lafayette Rink a few times. I have never had the chance to race it yet. Post up if interested!! See you tonight. I have some new stock SC10 tires and some new Bandito tires to test. Track should be great with very nice traction. We are trying out a different sealer on the race line. 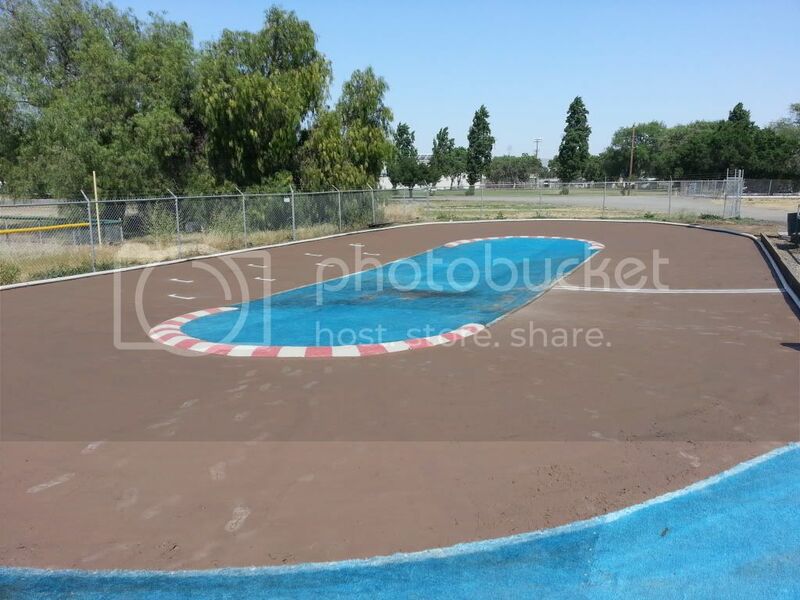 If all goes well we will completely redo the track next week. See everyone tomorrow!